Anyone searching for a wireless temperature and humidity sensor may be interested in a new Internet of Things device which has been created by Mesh-Net based in London. 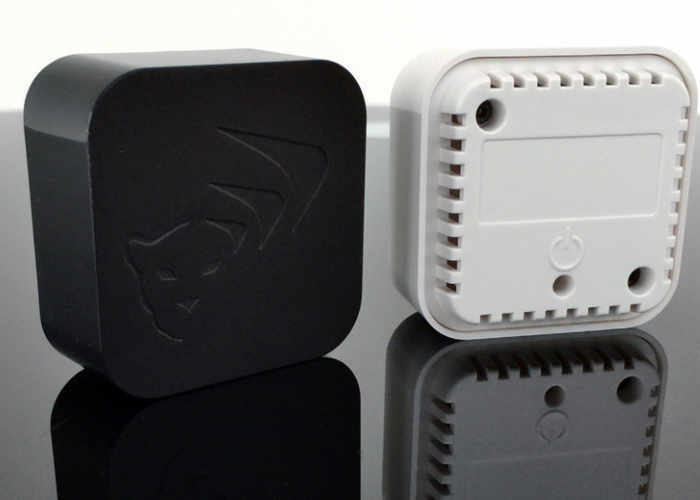 WiCub is a battery-powered wireless sensor which requires no cloud storage or mobile application to function. Watch the demonstration video below to learn more about its design and features. WiCub is a World First; a small battery-powered device that measures temperature and humidity 24/7, saves the readings and emails them straight to you everyday. If at any time the readings exceed the pre-specified alarm threshold bands, an immediate email alert will be sent so you can take appropriate remedial action. Very little configuration is required so it’s essentially a ‘plug and play’ device. Simply register it onto your WiFi network, configure the email address you want to receive data and if required, configure the alarm thresholds. All this can be done using your PC or smart phone web browser. Once configured, position the device in the desired location and that’s all there is to it. You can be assured your home or business ‘assets’ are being monitored 24/7 and you will receive notification should the temperature or humidity hit the alarm thresholds. Ensuring proper indoor humidity has important skin allergen and other health benefits by inhibiting the growth of mold, bacteria, viruses, fungi, mites and other asthma inducing agents. Reduce your energy bills by avoiding over-heating in winter and over-cooling in the summer and managing the settings in every room more accurately with WiCub. Jump over to Kickstarter via the link below for more details and to make a pledge from just £49 with shipping expected to take place during May 2017.